The Fair Labor Standard Act (FLSA) requires that most employees in the United States be paid at least the federal minimum wage for all hours worked, and overtime pay at time and one-half the regular rate of pay for all hours worked over 40 hours in a workweek. This information has not changed but what has changed is who qualifies for overtime and the rules that govern it. On May 23, 2016 the United States Department of Labor (DOL) published their final regulations regarding non-exempt employees and overtime. These new DOL changes will take affect on Dec 1, 2016. This overtime rule applies to non-exempt employees. If you are not sure what the difference is between except and non-exempt employee, here is how to tell. The basic principle is that it’s based on their duties. What are their daily tasks that they perform? 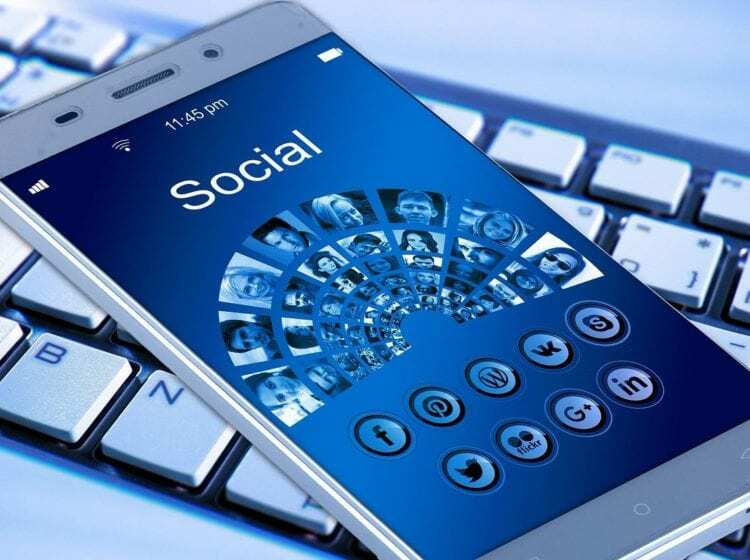 There are three main types of exempt employees (meaning overtime rules do not apply to them): executives (people who can hire and fire, responsible for budget, read more about this role here), professionals (e.g. engineers, doctors, read more about this role here), and administrators (e.g. office managers, controllers, people who can make decisions on behalf of your business. Keep in mind that this does not apply to all office managers. If your employee has the title of office manager but only monitors your employee’s time sheets and does payroll, then they are not included in this exempt category. They do qualify for overtime and you can read more about this role here). Automatically update: The other change that was introduced is the regulations established a mechanism to automatically update the salary threshold every three years based on wage growth over time. So, this is not a one-time change and you will have to re-visit it every three years. The first automatic update will be January 1, 2020. Creating policies may not protect you: You can not move employee’s hours to next week to prevent paying them overtime earned this week. So as an example, say your employee worked 48 hrs. this week and you made them take Monday off next week, that won’t work. Overtime is earned each workweek, which is a seven day period. 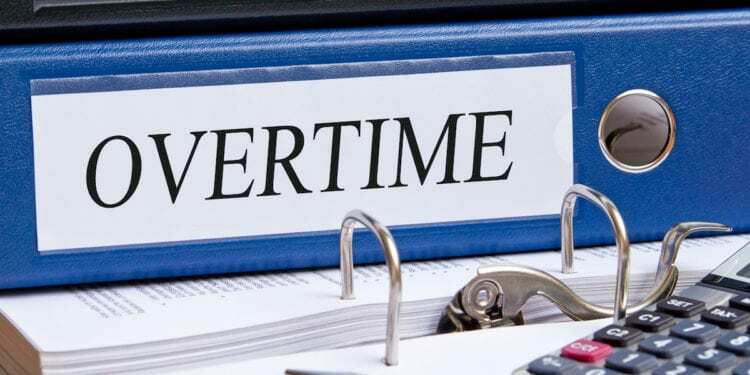 You cannot combine two or more weeks for overtime purposes. If you want to control overtime, you have to control the schedule before the end of the workweek. 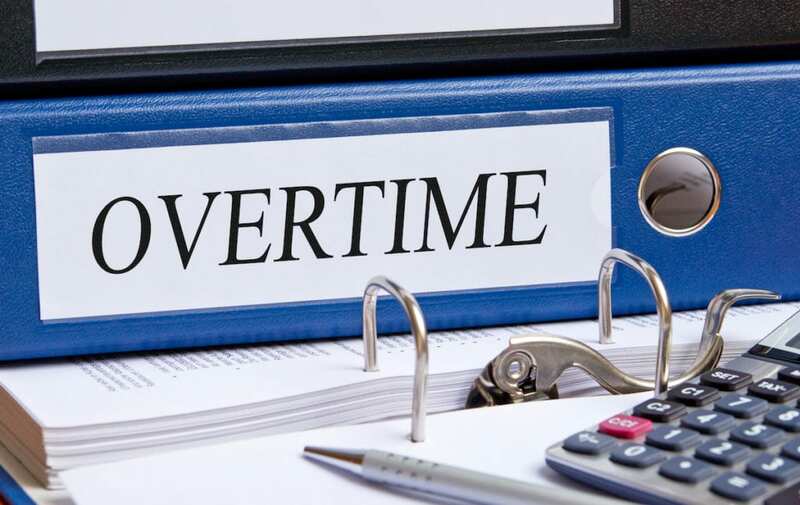 Even if you have a policy that says employees need a written or verbal approval from a supervisor to work overtime, you still have to pay them if they have overtime and did not get the approval. The only thing policies are good for is to discipline employees. You are still required to pay for the overtime. Salary employees: It comes as a surprise to a lot of people that salary employees are included in these overtime rules. Even when you have an employee who is not hourly they still might be qualified to receive overtime. If your employee is getting paid $45K/year and works overtime that might add up, you could be better off giving them a salary increase to $47,476/year to avoid the overtime headache. An interesting side note about salary employees is if they come into the office and work for only 10 minutes and go home because they weren’t feeling well or wanted to go Christmas shopping, you have to pay them for that full day. But if they take a full day off then you can count it as personal day off and not pay for the full day or make them use their paid time-off (PTO). Job descriptions: Because of the new rules it’s essential you have job descriptions clearly defined to distinguish why you categorized an employee as exempt vs. non-exempt. If a DOL inspector shows up at your office, you’ll need that job description to make your case. Recently I attended a presentation where Monica Velazquez, a lawyer at Strasburger & Price law firm who is certified in Labor and Employment law, advised employers to review job descriptions and in drafting what employees do to use strong verbs like supervises, responsible for budget, manages or executes to clearly identify the exempt employee role. Time Tracking: Nothing can protect you better like log records of the hours your employees worked. An employee can claim that they worked 50 hours a week the past 2 years, and the only way you can protect yourself and your business is to keep a log of all the time punches this employee did. This can be a timesheet tracker software where they clock in and out every day or a log of employee badge swipes to show the time they were at work. Whatever system you choose, make sure you keep accurate records. Since 2000, FLSA collective action filings have gone up by nearly 450% and there is a higher scrutiny for misclassification cases like exempt vs. non-exempt. As a business owner it’s important to keep your business safe from lawsuits and to take care of your employees. So, before Dec. 1, 2016 make sure you audit your current exempt employee job positions, see if any of them need to be moved to non-exempt, and train them on time keeping procedures.